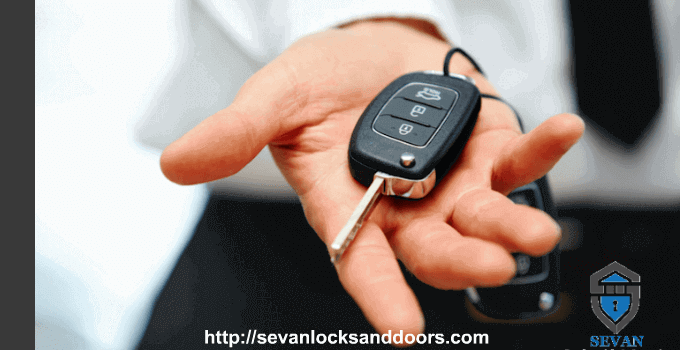 At Sevan Locks & Doors, we pride ourselves on the fact that we charge much less than any dealership. We are local and mobile so we can cut your car key and get you back on the road in no time. All our laser cut key services and auto key cutting come with a written warranty and can be done on the spot. Give us a call at (206) 274-7061 and ask us about our online specials. Laser cut keys or high security keys, are not necessarily new but are quickly becoming the most popular type of car key. A laser cut key has a rectangular blade with a wavy groove cut up the center of the blade. You can insert the key no matter which way it is turned. These keys offer a higher level of security than typical keys and are cut in either a dimple or a snake pattern. Laser cut keys are designed to have a 1 in 30,000 chance of being identical to a different vehicle’s key. It also ensures that the immobilizer will not disengage without being programmed to the exact code within the computer. This makes it extremely hard to become a victim of car theft. Laser cut key started being manufactured in the 1990’s. BMW, Mercedes, and Volvo were the first companies to implement this system in every one of their vehicles. This made them one of the least stolen cars in America. The added security of this key is unparalleled in its ability to deter theft and invasion to your locks and ignition. These types of keys are now in almost every model of vehicle that is 2010 or newer. It’s quickly becoming the best way of protecting your vehicle from theft. When you need a laser cut key made, you want it done right. You need a company with the tools and training to do the job right the first time. Our team of trained, fully mobile locksmiths has the machine needed to get your key made on the spot. All of our local locksmiths are also fully licensed and bonded. Why Call Sevan Locks & Doors? Sevan Locks & Doors’ technicians have the tools and knowledge to get laser cut keys made the same day you call. We’re mobile and can come to your location whenever you need it. We never charge extra for weekends, nights or holidays. All services are performed by a local, licensed locksmith that is an in-house employee. Call (206) 274-7061 for laser cut key service now.